Standing my ground on a narrow stretch of sidewalk in front of the La Casa Azul Bookstore’s booth, I continue: “No. I want a fun filled and adventurous life.” These lines from my book stop a few people and wipe the bored look from the faces of others. Most move on. 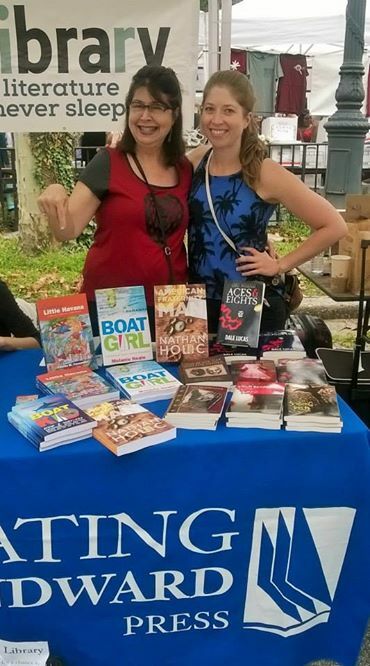 This street performance is an example of the “guerrilla marketing” effective in today’s publishing world, where only a handful of publishers have the capital for promoting their authors, and hundreds of small presses compete for a share of a fickle, tight-fisted reading public. In this environment, guerrilla marketing ensures the author the only thing he or she can control: exposure. At this point, an author’s beloved book becomes an artifact, a product competing in the market with many others. What good is writing if no one reads your work? 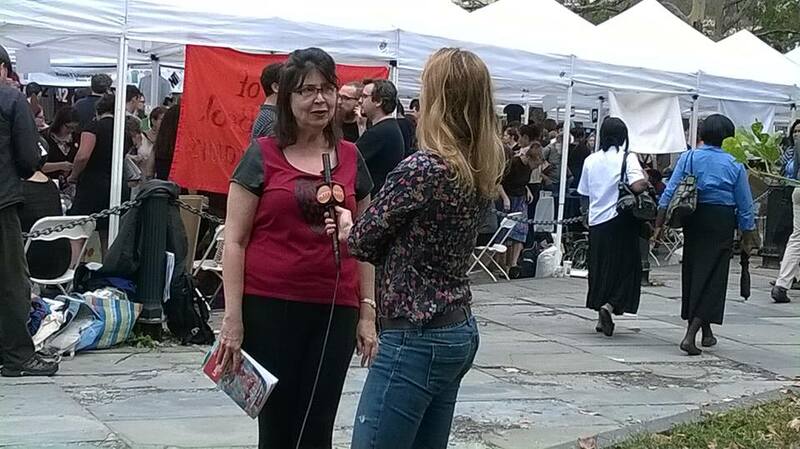 After the reading, in a grassy spot behind La Casa Azul’s booth, I face the microphone of Nydia Marsella, a producer with HITN television, the Hispanic version of PBS. 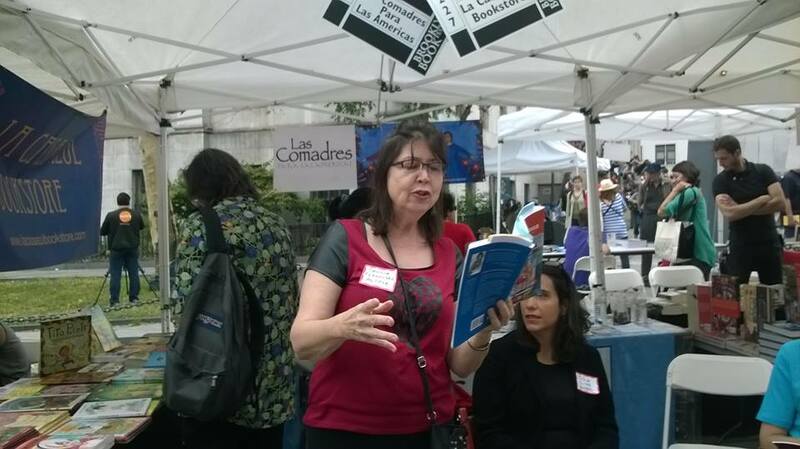 She is putting together a story of Latino authors at the fair. And I, thankfully, am part of the story, vying for exposure with a dozen other writers lined up behind me. Interview finished, I dash down an alley to my publisher’s booth. 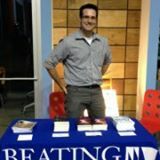 Beating Windward Press is prominently displayed in white letters on a sapphire blue banner, and publisher Matt Peter’s books are spread out on one-third of a table. My daughter, Alexandra, in charge for the duration of my street reading, hands out flyers urging readers to buy Matt’s diverse titles: Boat Girl: A Memoir of Youth, Love and Fiberglass by Melanie Neale, Doc Voodoo: Aces and Eights by Dale Lucas, American Fraternity Man by Nathan Holic, The Snuff Syndicate by Keith Gouveia. I stand in front of the booth and flag down distracted passersby, pointing out the books and giving a quick elevator pitch about the contents of each, leaving mine for last. 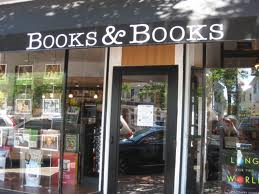 Then I close: “Will you buy my book?” Some say yes; others smile and walk away. 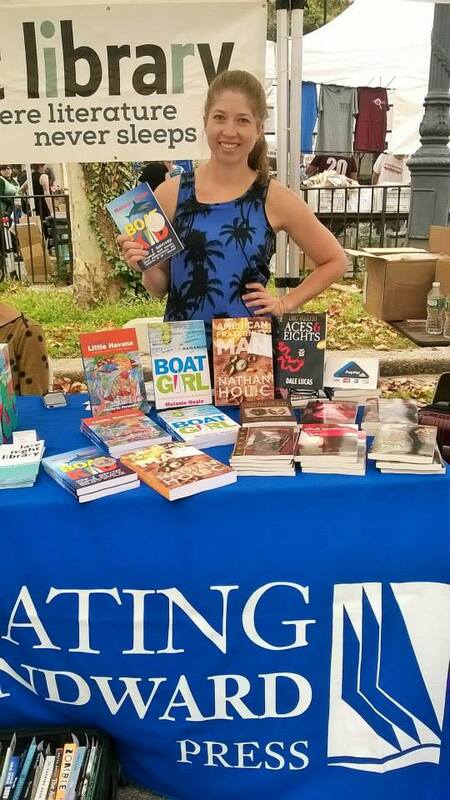 Ours is just one of a 1,000 booths at the Brooklyn Book Festival this weekend, but every single vendor is doing the same thing as I am. Maybe they are selling with a bit less intensity, but, hey, I worked in sales for a while, peddling pharmaceuticals to doctors and often bribing them to prescribe. I know what happens when you don’t meet a quota. You get fired. No one is going to fire me for not selling books, but this exercise reinforces the fact that, once published, a book needs all the help it can get from the author, who really cannot afford to rush back to her desk – often in a lonely bedroom – and start writing another book. Today’s writers – even if published by top publishers — must embrace the function of a marketer. Find your audience, create a need, and promote, promote, promote. With that in mind, why shouldn’t I give potential book buyers a hard close? And to help close a sale, you need sales aids. The title is a way for readers to connect with the book. If you choose the right words, they pop up as keywords on the internet. It’s like a headline in a news story; it either grabs your attention or turns you off. I wanted the title to reflect the narrative, but I also wanted it to sell the book. We all agreed on the Leaving Little Havana part, but none of the subtitles seemed to work. Matt and I went back and forth, involving as many people as possible in the process: people in the street, friends, foes and relatives. Finally, Dan Wakefield, my mentor, famous writer, and my MFA thesis committee member at Florida International University, came to the rescue and provided a catchy subtitle: A Memoir of a Rebel from Miami’s Little Havana. Something rang a bell, and, with a few pushes and pulls, Matt, Melanie (nonfiction editor), and I carved it down to: A Memoir of Miami’s Cuban Ghetto. Relief! Another agonizing choice. Matt sent me several options of the cover in different color schemes and with two different pieces of art work. I loved the orange to symbolize the fire inside the cover, but also the blue of peace finally achieved. I wasn’t too sure about the flamingos in one of the art pieces. I thought they were a cliché. Melanie: “I say we get rid of them.” Will McClendon, MFA wannabe: “Leave the flamingos alone. The cover is for the outside world.” Good advice. I stopped worrying about the flamingos. What a cover! It screamed: “I’m HERE!” Who do I thank for that? The designer, Kristie Peters, and the artist, Victor Bokas. The cover is a major player in the sales process. It goes on your flyers, newsletters, press releases, on all your social media. It can also be your business card: that incredible little piece of cardboard that confirms the identity of…everything! Book blurbs from influential people and published authors cannot be ignored. These all-important paragraphs prominently displayed on the first page of the book give a stamp of approval, helping you sell. I asked Guarione Diaz, President Emeritus of the Cuban American National Council; Ruth Behar, author of Traveling Heavy: A Memoir in Between Journeys; Virgilio Suarez, author of Latin Jazz; and my beloved professors, Dan Wakefield, Lynne Barrett and Les Standiford, and they graciously accepted the task. Readers want to see you in the flesh. They want to talk to you, touch you, while you sign your book. 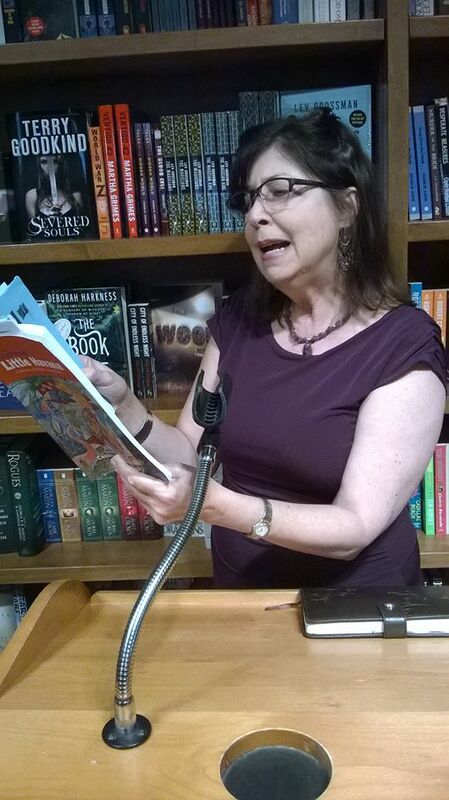 Schedule readings in bookstores, college campuses, and any literary conference you can find. Contact community organizations and offer to read at their monthly lunch meetings. Go to every book fair imaginable, even as far away as Alaska, Spain, Germany, if your budget allows. Connect with your readers. Tell them why you wrote the book and why they should read it. In today’s social media atmosphere, replete with digital reading devices, the writer must design Facebook and Linked In pages, write a blog, post on Twitter, Instagram, Pinterest, and develop a Website. All of these can be linked together and updated regularly. Witty comments and tidbits of interesting info on your social media pages keep you connected with your readers and attract new ones. Goodreads, Book Bub, all digital book promotion sites, are indispensable. Warning: it’s extremely time consuming! Compile a list of print, blog and broadcast reporters. Send them a review copy of your book, a picture of yourself and a press release and ask if they will write a review and interview you. Try to get on your local radio station, local TV stations, the New York Times!! (haha), Booklist, Publishers’ Weekly, alumni magazines. There are many venues out there. Do your research. 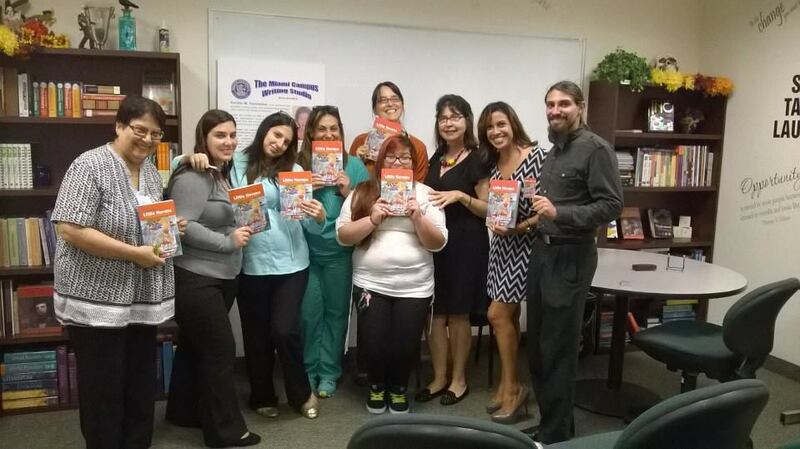 I’ve had reviews from The Florida Book Review and The Latin Post. And Latina Style magazine allowed me to write a column focusing on the themes in the book. Am I nervous about getting negative reviews? Yes. But I won’t let them get me down. At least the naysayers felt something besides apathy and indifference, the worst feelings you can evoke if you want to sell a book. They’ve even interpreted the book for me in ways I had never considered. So I’m incorporating those fine-tuned lines into my sales pitches. Why do I do all this work? Most writers will tell you their drive to write lacks pecuniary interest. Creating art is compelling and obsessive. Picasso and Matisse painted because they had to. Without their art, writers, musicians, painters, don’t function. For me, writing happened so I could go on living. Here’s the reason. If you are a writer, a visual artist, a musician, incorporate guerrilla marketing into your daily activities. Always be on the lookout for the opportunity to sell your artistic product. So now that you have read all that it takes to bring a book to market and put it in the hands of a reader, I hope you will buy it. I know you will love my book! Post your review on Amazon. It won’t take long! Help me spread the word! Ten years ago, I handed an essay to my creative writing professor. He read it, ran off to the department chair and lobbied for me to be accepted into the Master of Fine Arts program at FIU. The essay grew into a master’s thesis, and now, at last, it’s a book. Leaving Little Havana: A Memoir of Miami’s Cuban Ghetto is a 90,000 word epic with the most beautiful book cover ever designed by Kristi Peters and illustrated by the Orlando artist Victor Bokas. Every so often along comes a book that seizes you by the collar and arrests you on the spot. 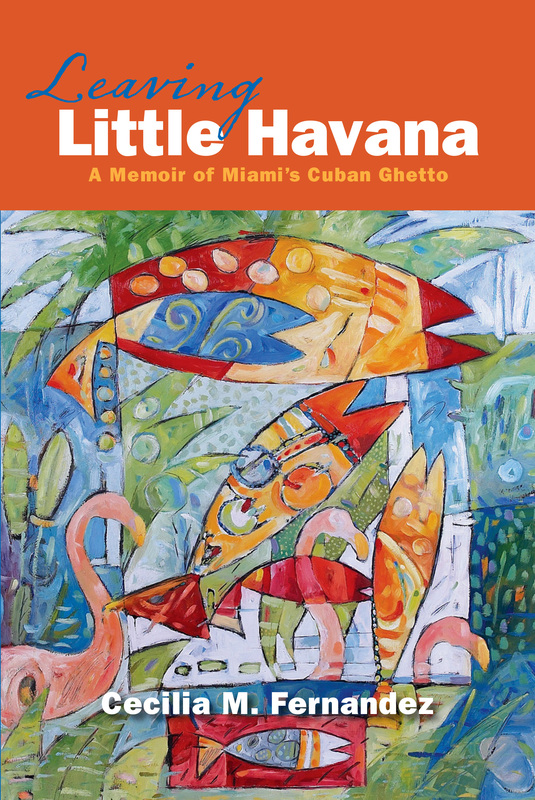 From page 1, LEAVING LITTLE HAVANA is a brilliant, voice-driven book that will make your heart skip a few beats. My experience reading this book was similar to the first time I read THE HOUSE ON MANGO STREET by Sandra Cisneros when you instantly know you are reading a classic, a story so achingly beautiful and unforgettable you relish every last word as if it were the buzzing of a hummingbird at your lips feeding you honey. This book is about family, about what happens to family in exile, about how people come into a great world of struggle and manage to get by and survive. The author has a great gift for capturing that world-known enclave of Miami we love and call Little Havana. This might be the book that puts in the literary map for good and forever. — Virgil Suárez, author of LATIN JAZZ, THE CUTTER, and 90 MILES: SELECTED AND NEW POEMS. 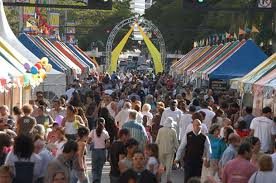 Leaving Little Havana will be available at a pre-release sale at the Miami International Book Fair from 10 am to 6 pm, Friday, November 22, (free entry) and on Saturday, November 23 and Sunday, November 24 ($8 at the door). Put this on your calendar! But there’s more: the official book launch and reading will be at 7 pm Saturday, December 7 at Books and Books in Coral Gables. Put this on your calendar as well! BYOB??? Now that I see and touch my book, a dream deferred for so many years, I feel as if I’m hurled like a storm of fireworks into an impassive sky, emitting sparks that shake up its aloof countenance, lighting up both illusion and reality. I now know what F. Scott Fitzgerald meant when he said: “life was radiant and time a phantom and their strength eternal.” I wish I could fly into the Jazz Age, dance the Charleston and dive into a pool of champagne. This is the man who started it all. Last spring, Dan Wakefield, my creative writing professor, mentor, novelist, memoirist, and television script writer, connected me with a publisher who he thought might like my book. He was right. Matt Peters, publisher of Beating Windward Press, related to the story and offered me a contract. Then he plowed into the editing process, pushing and pulling my narrative into publishable shape, making it the very best it could be. Most writers resent this process. I don’t. What could be better than joining forces with another creative professional who is just as invested as you are into getting the book into the hands of readers??? So lucky that Matt and I share a vision! Meet him at the Book Fair. Writing is not the lonely pursuit most people think it is; a collaborative enterprise, writing draws in a variety of people – with a stake in the book’s success – who pour their creative talents into bringing a book to market. More often than not, their input distills the book’s soul. This is my colleague, MIU professor Dave Bricker. He writes in his blog: “Good writing is characterized by the same conscious application of order, balance, tension, tone, spirit, relevance, and clarity as good design.” Editing requires the same applications. During the first round of editing, I transformed every “telling” section into a “showing” section: I constructed scenes, which make a narrative spring alive. I found all the passive constructions and made them active; I eliminated the generic verbs “were,” “was” and “is” and substituted action verbs in their place. In the second round, Matt shoved chapters into place, creating movement throughout the entire book, providing harmony between its parts. He posed questions that had never occurred to me, so I did more research, adding historical context and facts from my journals to reconstruct important new scenes. The third round – line editing – offered another chance to polish each word and pushed me to dig into the secret, dark vault that both stores and represses memories, holding them hostage until a trigger releases the ghosts. I faced what I feared most and constructed scenes for those scary sections. I concluded that editing has no end. 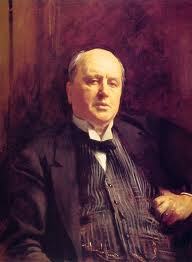 The novelist Henry James, author of The Portrait of a Lady and The Bostonians, would agree. He revised his work until the end of his life, publishing several editions of each book with different plot twists, new scenes and details that he added through the years. Writers struggle with eking out precious minutes of each day to devote to their art and craft. Between editing sessions, I had to teach classes, help out with family emergencies, nurse the flu, buy groceries, and bathe the dog, among other things. Fortunately, at this point in my life, with a college instructor’s semi-flexible schedule and my children grown, I have the luxury of editing three and four days straight, twelve to sixteen hours a day, varnishing the raw product to my heart’s content. I wrestled with a slow process; when I got up to walk around every so often, I found that each time I did, the best ideas flew into my head so I had to run back to the computer and add a scene or a section. I discovered that editing did not stop as I went about life’s daily tasks. It forced me to step into another plane of existence I never wanted to release. 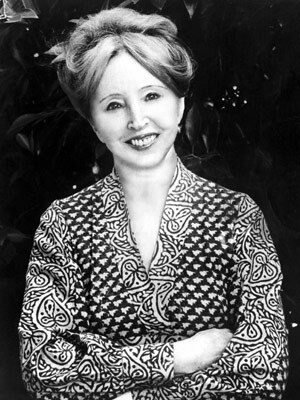 Happiness, as writer Anais Nin says, is “the positive assertion of the will through the consciousness of creation.” Who would ever want to leave that space? Bedtime was agony. During the pre-dawn hours, most of my “brilliant” ideas demanded attention, ruthlessly compelling me to keep on working even if I had a morning class. Finally, wild-eyed and desperate for sleep, I emailed the final draft to Matt. Thinking I could now relax, I found out that the work of publishing simply intensifies, as you will see in Part II of this post: after the final editing, promoting and selling the book take center stage and demand a creativity of their own. I hope you will buy my masterpiece! 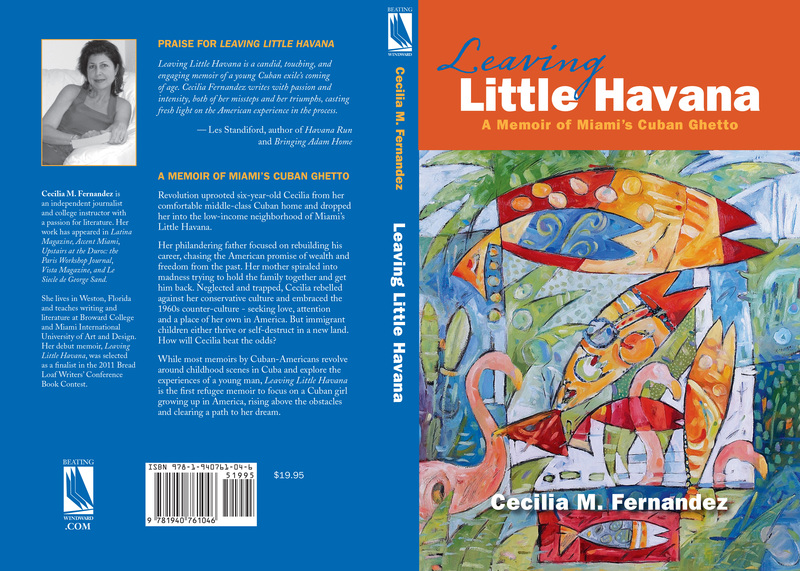 Leaving Little Havana is available in paperback or e-book in December at Amazon.com, BarnesAndNoble.com, SmashWords.com and your favorite bookseller. See you at the Book Fair and/or the reading at Books and Books. Writing transforms every breath and step I take on this earth. Nothing to do but offer thanks. Imagine a private fashion show in your father’s living room with the model as his wife, 20 years his junior. Thirty years ago, I was the lone member of the audience as I sat in my father’s well-appointed Miami Lakes home, captive and appalled, as his wife displayed an interminable line-up of mink, chinchilla, and beaver stoles and coats. It was one of many defining moments in my political evolution, pushing me to eventually abandon the Republican Party just weeks before I voted for Obama in November of 2012. How so, you may say? As I sat in that living room with a bewildered smile on my trembling face, I could only think of the monthly $200 alimony check my father mailed my mother, who used it as part of her meager income from the laundry where she worked. This private, behind-closed-doors celebration of the huge disparity of income between my father, a successful surgeon, and my mother, a former English teacher who supported him through medical school, became symbolic of Republicans. Today, I can say that the startling and shameful sharp right turn of Republican Party provided the impetus for my unapologetic progressive stance, rejoicing in another four years of Barack Obama’s presidency. Hope and change, the driving forces for the election of the nation’s first African-American president four years ago, still burns in my heart, and apparently also in the hearts of many other Cuban-Americans, who in November split ranks and gave Obama 48 percent of their vote, up from 38 percent in 2008. Why the turn-around in an ethnic enclave known for its conservative agenda? I can speak only for myself in saying that the Republican insensitivity to huge segments of the population, fueled by the Old Boys’ Club, misguided Tea Party members and fundamentalist Christians, made wonder if I could lose valuable personal liberties. While the right has consistently extolled the virtues of self-reliance and unfettered capitalism, the nation now is in need of something that transcends this philosophy in which I also deeply believe. Ensuring that compassion and ethics, in short, a more humanistic approach, take their place in America’s capitalist, democratic system must be at the forefront of a well thought out political agenda. It is this vision that Obama’s platform offers to me. I am celebrating with the president for many reasons. Not only did he choose a Cuban American poet, Richard Blanco, and a Cuban-American reverend, Luis Leon, to take part in the inauguration ceremony, but he has drafted a social blueprint that resonates in a space of my heart and mind reserved for ideals. Obama shows us that the personal is political – a tenet that I learned many years ago as a student at the University of California but that lay dormant for many years: gun control measures; opportunities for Dreamers, the children of illegal immigrants in schools all across America; a woman’s right to privacy in her choice of abortion, shamefully politicized today to serve religious beliefs; the freedom to marry whoever you please; the absolute separation of church and state; the right for women to receive equal pay for equal work, and not 77 cents for each dollar earned by men. The word on the street is that the Republican Party today would be unrecognizable by Ronald Reagan, who – perceived to be too liberal — never would have received his party’s presidential nomination. Did you know that the Republican governor of New York, Nelson Rockefeller, in 1970 supported a state bill giving women the right to abortion? Would any Republican governor do the same today? No, they are too busy busting unions, arresting Mexicans in Arizona and keeping everyone else in their place. Today, many call the Republicans the Fascist Party of America. Perhaps the “communists” are behind this smear tactic? My father would forcefully nod yes. A middle-class gynecologist – not a landed aristocrat –, he fled Havana in 1959 soon after the communist takeover. He disagreed with the systematic stripping away of human and economic freedoms. As he and the first Cuban exiles made their way to Miami, the horrors of communism made them forget the terrors of Batista, a right wing dictator. They turned their backs resolutely on the Democrats after then President Kennedy refused air cover to brave CIA-trained Cubans who landed in the Bay of Pigs in April 1961 to wrest control from Fidel. The brigade members were killed or imprisoned. It was a big disillusionment for Cubans, one I share. As a result, Cuban exiles aligned themselves with Republicans who imposed the embargo and promised a tough stance against the island. As a child, I listened to my parents talk as ships from the then Soviet Union made their way to Cuba to set up missiles aimed at the United States. Impressed by the passionate outcries of my parents against Fidel and the Democrats, I became a Republican by default. As exiles gained power in Miami, they repudiated everything left wing, including the same freedoms they were denied back in Cuba. I witnessed many examples. As a reporter in the eighties, I covered the arrival of Cuban-American playwright Dolores Prida at the Hispanic Theater Festival in Miami. She received bomb threats because she had dubbed the Cuban embargo ineffectual, calling instead for a “dialogue” between the US and the island. The Cuban exile community violated her freedom of speech as surely as if she had been in communist Havana. As a group, the early Cuban-Americans cannot forget the trauma of living under an oppressive regime, losing homes and bank accounts. Those from the working and agrarian classes – the same people who Fidel promised to liberate — experienced repression as well if they dared disagree with the regime: public beatings, imprisonment, death squads. I absorbed the collective pain from my parents and the community and plodded on as a Republican. I realized, however, that what had not entered the conversation was that many Cubans had supported Fidel. They had rejected the repressive, right-wing tactics of Batista and hoped Fidel’s agenda would bring social justice. What was not being discussed in the Cuban community was the similarity between Republican right wing tactics and Batista’s repressive strategies. Instead, many believed a liberal agenda reflected communism. What has been left out from the conversation is the conclusion that neither an extreme right nor an extreme left benefits a nation aspiring to economic progress and social justice. The public discourse within the Cuban-American community must expand to include these concepts. 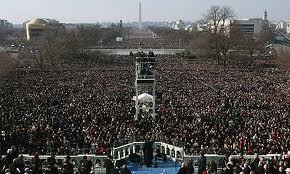 The inauguration holds special meaning for me because it is the culmination of my political awakening. Since a wayward teen, I veered to the left: I believed in sexual freedom, motherhood as a choice, more opportunities for the poor, and protection for the environment. These political stances crystallized when I went to Berkeley: I read Karl Marx’s treatise on material determinism, participated in the Women’s Movement, witnessed the euphoria of Chicano, Black and Gray Power, and attended a Gay Pride parade. But upon returning home to Miami, the conservative environment engulfed me. I felt torn in my loyalties. Each time I visited my father, he unleashed a venomous tirade upon women, blacks, and the poor. Only the rich were worthy, he insisted. “Foi gras has to be of a very, very high quality for me to like it,” he once said at dinner in a French restaurant. His step-son, a Chilean immigrant eager to please, echoed his astounding words. My father lived the good life, and I wanted to live it too, as I struggled on my own through college — no help there from him — or through demanding media jobs, or as a single mom supporting three children. I struggled outside of his class, yet I wanted to be part of his, the privileges he embodied beckoning like a siren song. I never quite fit in, however, and every once in a while I sounded the gong of liberation. “I don’t have that level of culture, Cecilita,” he said frowning, and, as he customarily did, turned the conversation to his Paella recipe when I broached political subjects. After the fur coat fashion show that evening in Miami Lakes, I reflected on the morality of owning ten fur coats while hordes of people starve around the world. I concluded that there was something intrinsically wrong with owning five mansions and three yachts while others couldn’t buy a winter coat. Do I believe in redistribution of wealth? No. I believe in a free market economy. But I believe just as strongly that it is everyone’s responsibility to temper the outrageous excesses of capitalism. And that means to formulate and enforce humanitarian policies. I see the credo of “the best government is the one that rules least” as nothing more than a weak slogan through which the rich attempt to keep their class privileges. 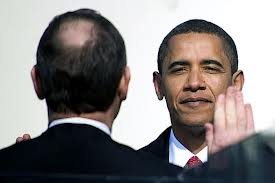 In his inaugural speech, Obama mentioned that it is not only incumbent on government to bring about this change. But can the private sector of wealth rise to the challenge? These are the people lauded for their ability to create jobs, but studies show that the extra money they make on tax cuts usually doesn’t go toward hiring more workers. Maybe toward buying another diamond necklace? Why can’t the wealthy tighten their belts like the rest of us? Indeed, Obama’s proposal to tax the wealthy has seen such opposition from Republicans it’s frightening. If the rich cannot help reduce the deficit by foregoing, let’s say, one mansion, one Jaguar, one Cessna, then their moral bankruptcy must be held in contempt. Driving home one afternoon, I heard Obama on NPR: “I’m not going to balance the budget on the backs of the poor or the middle class,” he said, “when people like me who make more than $250,000 a year don’t pay a dime more.” Is it all about paying a bit more on taxes? Or is it about keeping class status and privilege, about engaging in class warfare? My turn around wasn’t about Romney’s short-sighted comments on keeping a “binder” full of women, or about the 48 percent, or about saying that illegal immigrants will just self-deport. I already knew that these beliefs were ingrained into the fabric of Republican values, and that Romney was mindlessly parroting the dominant thinking espoused by his party. The crucial moment that spurred my political liberation arrived one hot April afternoon in 2008. I sat in my work car, a brand-new Ford Taurus, with the air conditioning blasting cold, lined up in a parking lot along with half a dozen other co-workers in front of the Palm Springs Medical Building in Hialeah. We were all on our cell phones listening to a teleconference that announced that I had lost my pharmaceutical sales job. “The B team is being dissolved,” Merck Vice President Jo German told us, “other selected reps will be reevaluated as well.” Why? The stockholders demand it. In corporate America, the loss of a penny in year-end profits sends ripples of self-hatred through the sales ranks – not to mention the dread of mass firings – as managers deliver punishing blows, usually in the form of low work performance ratings and an individual improvement plan, forever appended to our personnel files. But what if a force more powerful than the talent of an individual sales rep is causing low sales? What if the crumbling economy is at fault? “No. It is the rep’s failure if he or she is not selling,” a much despised manager once sneered in my face. So in one short teleconference, hundreds of reps lost their jobs along with managers, support staff and other personnel. Joe German took early retirement. It was the start of massive layoffs throughout the nation, already reeling from foreclosures, bailouts and lengthy wars. A few months later, the CEO of Merck added millions of dollars to his income through a generous bonus for “having the balls,” as one observer claimed, to pare down the cost of labor. I pondered over this outrageous move as I, a single mom with three high school children, along with thousands more, scrambled to find another job. How were the rich withstanding the depression? “It hasn’t touched me,” a doctor and a client told me. As I became more vociferous, my Cuban friends looked at me askance. Was she a communist, they asked with their eyes? “You can’t be a communist because you live in Weston,” one said. Huh? Does my place of residence determine my social consciousness? Does it mean that I would begrudge a raise in taxes if I could well afford the hike? In October, I shed the chains. I called the Broward County Elections Supervisor and changed my party affiliation. In November, I voted for Obama, freed at last from my father’s politics. The pieces tumbled into place. I was not among those in the privileged class. Although highly educated, I was – for all intents and purposes – part of the working class. Although sexually liberated, I was still a woman subject to a variety of prejudices. Although I spoke English without a trace of an accent, I was still an immigrant. The Republicans had nothing to offer someone like me. Florida, still purple, had just become a bit bluer because of my vote. At the same time, the first Democratic congressman from Miami-Dade, Joe Garcia, received the votes needed to send him to Washington and join South Florida Republicans Marco Rubio, Mario Diaz Balart and Ileana Ros, who, by the way, started her political career as a Democrat, switching parties when she realized she couldn’t survive in the Cuban community. This new year, resolve to let all the action happen inside your mind, the most sophisticated virtual screen to be devised! Finances unlimited journeys to every corner of the earth. But be more than an armchair traveler. Delve into the history of the world, and crack the code to the variety of cultures, religions, and political systems out there. Offers instant escape from your individual reality. Anais Nin says, “When one is truly rich, inwardly, ordinary life becomes a form of torture.” A book hands you an alternative life, easing you out of boredom and malaise. Provides incomparable aesthetic pleasure derived from sharply chiseled sentences, startling imagery and stunning words. Check out this image: “straight-trunked trees spread out canopies as dense and green as broccoli.” And this one: “a crisp-cut suit defined him against the landscape, the way a line of India ink edged a drawing.” Both from Erik Larson’s Thunderstruck. Introduces you to a debate partner with whom to explore controversial issues. Although it is silent, the conversation allows you to compare notes with a writer whose intellect you respect. A few of my debate buddies include Edward Said, Katha Pollitt, Louis Menand and Laura Kipnis. Connects you emotionally with writers who mirror your innermost thoughts, anxieties, desires, and goals, affording you the knowledge that you are not alone: many others out there share your passions. (f) A setting that allows you to live in it. 7. Unlocks the secrets of survival for us, fragile humans buffeted by random blows from a haphazard world. This is an incredible compilation of fiction, poetry, drama and essays by African-American writers –including Langston Hughes, Zora Neale Hurston, Jean Toomer and Countee Cullen — who lived during the exciting 1920s artistic revival called The Harlem Renaissance. Writing in an almost mystical poetic prose, De Rosa tells the story of an Italian-American girl who struggles to survive in the slums of ethnic Chicago. The tale focuses on immigrants who grapple with harsh reality in 1950s America, but also hold on to cultural traditions. If you want to experience an eye opener about Afghan culture, read this tale about two oppressed women who are almost murdered by their enraged husband. Hosseini offers us an unforgettable portrait of what it’s like to be female in the sad Taliban culture of ignorance. A passionate treatise on the splendors of the artistic sensibility, this memoir recounts Anderson’s adventures as the publisher of innovative The Little Review in the early 1900s. She emerges as an ambitious, high-spirited woman and a role model for those aspiring to the literary lifestyle. Early twentieth century London is the setting for this portrait of the world’s scientists as they compete to develop wireless telegraphy. Larson intertwines the stories of the Italian inventor Guglielmo Marconi and the homeopathic doctor, Hawley Harvey Crippen, charged with the North London Cellar Murder, for a compelling look at the Edwardian period. A Pulitzer Prize-winning reporter chronicles the lives of army infantry soldiers as they carry out Bush’s new strategy for war in Iraq during 2007. Finkel lived with the battalion in Baghdad and not only describes the horrific details of battle, but also reveals the private drama of these heroic young men. The book will transform you forever into a pacifist. Each Christmas this simple narrative reminds me that turning your life around is within reach. Scrooge, bitter and angry, transcends the pain of the past and transforms himself . He discovers that generosity of spirit is better than resentment. What books have you read lately? How have they impacted you? 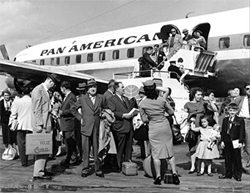 Fifty years ago in Havana, the last of the 14,000 children fleeing Marxist-Leninist indoctrination bid tearful good-byes to their parents and boarded planes bound for Miami. Distraught parents, panicking over rumors that Fidel Castro’s new government planned to ship their children to Russian (then Soviet) labor camps, made the unbearable choice of sending them away to the land of freedom, not knowing if they would ever reunite. The clandestine program, dubbed “Pedro Pan,” backed by Washington and coordinated by the Catholic Church, helped Cuban children obtain U.S. visas and, once in America, find a family member or go to foster homes. Many parents believed the United States would step in and topple Castro’s communist regime. That was not the case. As a result, many children languished in American orphanages and foster homes year after year. Many never saw their parents again. Amazing that, according to Eire, professor of history and religion at Yale University, another 80,000 children were right behind the first group, ready to be scattered to the four winds just before the airlift shut down. 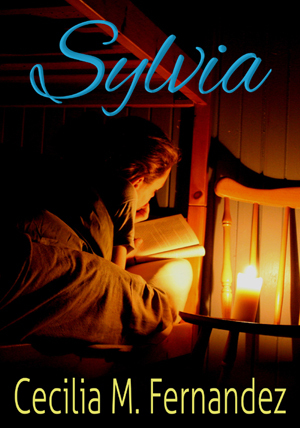 In my book Sylvia, I reconstruct the story of a friend of mine sent to live in a Miami orphanage. In the end, is it possible for anyone to heal the wounds inflicted in childhood? If her words are true, how long does the process take? A lifetime? One of the Peter Pan refugees, my first husband, was a lonely child who lived with his uncle while he waited for his parents. I forget whether he slept in a laundry room or a closet tucked underneath a staircase until they arrived years later. 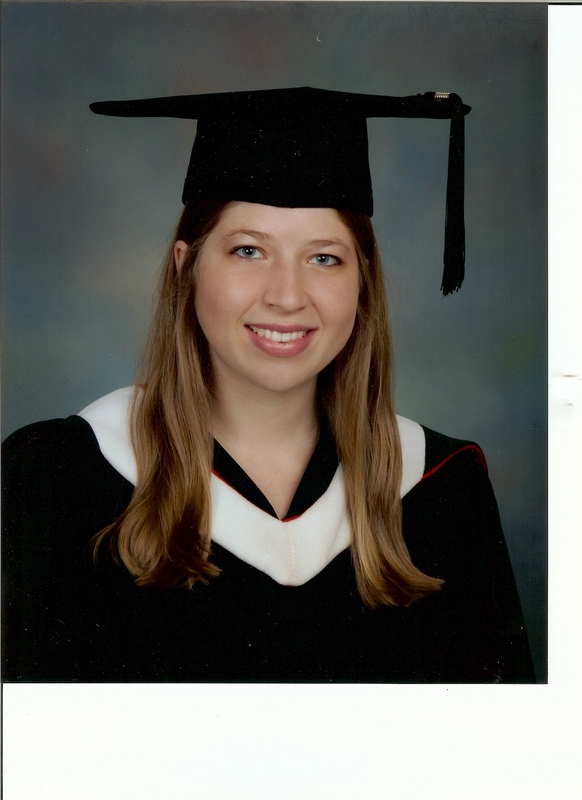 My daughter Alexandra briskly walked on Nassau Street with the Class of 2012, black cap firmly ensconced on her head, long black robe lightly sweeping the sidewalk. The 1,235 candidates for bachelor degrees snaked their way into a semi-circle, filed down a concrete pathway and took their seats on the front lawn of the oldest building on the Princeton University campus: Nassau Hall, built in 1754. The procession included marshals, faculty and administrative officers, college deans, the provost, the university orator, and chair of the board of trustees. A brass band regaled the audience. Squirrels raced up and down the blossoming, spring-kissed trees. Students, along with parents, relatives and friends, sat on the edge of their lawn chairs — arranged in the form of a fan — facing the national historic landmark, once the hub of the American government during the Revolutionary War, and listened to the 265th Commencement exercises in the cool June morning. We listened to the invocation and greeting, the Latin salutatory oration, the Valedictory oration, and the awarding of teaching prizes. Then the Dean of the College, Valerie Smith, presented the class of 2012 to President Shirley Tilghman, advising that the candidates had fulfilled the requirements. Tilghman, with the Latin “admito,” conferred the degrees from the podium. A few of the graduating seniors threw their caps in the air and bellowed. Others released balloons. The audience’s euphoric clapping hands spanked the air. For my daughter, the four-year road to Nassau Hall is best described by two words: hard work. She studied all day, every day, pulled constant all-nighters, fretted over writing a senior thesis (similar to a master’s thesis), and participated in numerous professional and service organizations. She had fun, too. She played the French horn in the orchestra, performing twice in Europe, and danced many nights until dawn at the Eating Clubs, Princeton’s version of fraternities and sororities. No doubt Alexandra’s success was made possible by intellect, ambition, passion for learning, perseverance, hard logic, pure and open mind and heart, and an inclination toward helping the under-privileged. But behind her stood….guess who? And behind me, two friends, veterans of the process, – Mayra Martinez and Olga Cancio – who offered advice at critical steps of the eight-year Ivy League preparation process. Below I share a twelve step plan that will help you get your student ready for the rigorous Ivy League admissions competition. The top four universities — Harvard, Yale, Princeton, MIT – accept only between nine and ten percent of applicants, so competition is fierce. Today, however, nearly all universities are demanding similar qualifications from their freshmen applicants. These twelve steps will give you an advantage at any university. First Things First: Does your Student Have What It Takes? Before you launch an all-out offensive and jump into the fray, consider this most important point: does your child have what it takes? If the child doesn’t like to read or study, or if he or she is not an “A” student by the end of elementary school, it will be highly unlikely that an acclaimed institution will open its doors. Be realistic. No child can go to a top college if he or she does not have academic aptitude or is not fully committed to the goal from the beginning. You must set the Ivy goal in middle school — if not by fifth grade — at least. If your child demonstrates academic prowess in elementary school, test her for the gifted program. Go to a private testing company. If the child’s IQ reaches the magic number, she is placed in gifted and advanced classes which will challenge an eager learner. Upon entering middle school in sixth grade, find an interest for which your child feels passionate, such as debate, band, creative writing, or golf and encourage her to stick with this all the way through high school. Besides this central activity, get your student involved in a variety of service clubs and sports. Once in middle school, make sure the student places in the highest level of math. A tutor may help here. This will ensure the student will make it through at least AP calculus by senior year. Competing in math club is an excellent activity. Upon entering high school in ninth grade, plan the student’s curriculum for the next four years. Don’t forget to include two years of a foreign language. A high grade point average, beginning in ninth grade, is crucial. To reach this goal, the student must take Advanced Placement and college courses. Sign up your student at the local community college: she doesn’t have to be dually enrolled to take classes. This step is imperative to boost the GPA. A high average will ensure your student ranks high in her class. If she becomes the Valedictorian, or Salutatorian, the better it will be for her. workshops: the practice is invaluable. The SAT gives you a print out of where the student went wrong; in eleventh grade hire the best tutor you can afford and fix the problems indicated in the print-out. Have her retake the test until she achieves a score of at least 1400. That is the magic number. Encourage the student to join three to five clubs – fencing, debate, band, math club. Whatever it is, make sure your student is an officer. If in band, she must strive to be first chair and choose to play a scholarship instrument: French horn, tuba, viola, and bassoon. The point is to make the student stand out. Make sure the student joins the National Honor Society, an important service club, and become an officer. President is best, of course. Help your student design and execute a compelling community volunteer project. Choose something for which the student has a passion. For example, if he or she is in band, suggest she form a musical quartet that performs to raise money to send an orphan to music camp. Activities during the summers between sophomore and junior years and junior and senior years are crucial. Find a pre-college summer program offered by a multitude of universities throughout the nation. For example, Carnegie Mellon University offers academic and music programs each summer. Scholarships are available. A summer internship and a summer job are two great alternatives. Coach your student to write killer college essays. Have her use descriptive, interesting language. Paint scenes. Limit exposition. Take the essays to a professional editor. If your student is Chinese- African- or Hispanic- American, or the first in the family to go to college, tell admission officers. Ethnic background and social-economic class are factors in the admissions process. Diversity is a key word. Call in all the forces of luck. There is no guarantee that any student who has put in place the above steps will be admitted. Hundreds of thousands of students throughout the nation are following the formula, and they are just as talented and intelligent as your own child. Let the metaphysical element of luck take over. You have done all you can do. Are you a single mother and think you can’t possibly do the work involved in the race to the Ivy League? Guess what? You can. Single moms out there, you too can be part of your child’s success! Just think of the application process as a part-time job. Create a four-year timetable of tasks. Be methodical. You can do it. I became a single mom when Alexandra was five and her twin brothers were two and a half. At the time, I vowed that lack of a father would not affect them in any way. I was lucky to be endowed with a stubborn disposition and a high paying job to pay for the extras: athletic programs, tutors, music lessons and educational activities that all played a role in Alexandra’s success. Don’t have a lot of cash? Tap the resources of your community, city, state and numerous national and local philanthropist organizations. Research scholarships. There are numerous books out there that will help you with the process. A strong partnership must exist between parent and student to make it all happen. All the effort in the world could not have made a difference if Alexandra had not cooperated and set the same goals for herself. This post is a testament to what you can do if you set a goal, rely on yourself, and believe you can accomplish what you have set out to do. Never give up. The personality trait of perseverance can be more valuable than talent. After graduation, I spent the entire month of June with my daughter. We sat for hours at sidewalk cafes, explored museums, ate tons of Gelato, and strolled on the beach. I accompanied her in the difficult quest to find an apartment in New York City, which has a one percent rental vacancy rate. Luckily, one came up in the financial district near her first professional job. During this time, we bonded in ways that never could have been in possible while she was in high school, and I also wrote a new book: Out of Princeton: Reflections on the Ivy League, Motherhood, Education, Ageing, the Writing Process and the Mother-Daughter Bond. I wrote the book by hand in two thick notebooks. Now the real work begins: the grueling editing process. Alexandra, you have given me so much to think and write about. You will always be my little daughter. Prom Night! Do You Remember Yours? Few of us have punched the dean in the face on our prom night. In my new story, the protagonist — a gentle, sensitive girl — does just that. 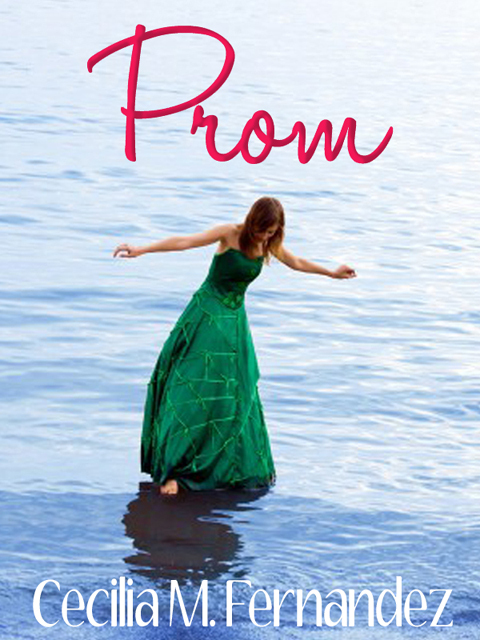 “Prom” was inspired by many surreal events that occurred at a Catholic high school where I taught once upon a time. Idealistic and young, with a brand-new master’s degree in hand, I joyfully signed a contract for an opportunity to introduce the masters of British Literature to seniors. My schedule included a plum assignment: AP English and Composition. That meant teaching the brightest students. It was a rude awakening the first week when I stood in front of the class and stared into blank faces for five periods a day. “Nobody wants to read any more,” the department chair explained. Still enthusiastic, I thought video and audio would turn these complaining seniors away from lethargy and into lit connoisseurs. I brought in the film Brave Heart to illustrate the medieval period. Then I played tapes of Gulliver’s Travels while they read the text at their desks. Even with the help of technology, I could barely hold anyone’s attention without threatening demerits. Disgusted with the state of secondary education – my colleagues reported the same inattention, not only in English but in every subject – I marveled how these students managed to get into college. Then I remembered my own chaotic high school days. Maybe things haven’t changed much, I conceded. For the most part, I taught students who believed they were special, beyond adhering to academic – and behavior — standards. They were accustomed to getting their way, including grades they didn’t deserve. When I awarded a student a C for mediocre work, the department chair questioned why. She had consistently handed him As for the last two years. When the daughter of the dean’s assistant earned a D, even more acrimony was heaped upon me by a faculty lounge clique who spent their lunch hours trading gossip about students and teachers. They particularly loved to focus on student pranks. Four boys wearing masks over their heads and carrying video tape recorders tucked under their arms smashed open the door to my portable, and in gang vendetta style, sprayed the room recording shocked and terrified faces as if they were using semiautomatic weapons. Five students wrote, edited, published and distributed an underground newsletter demeaning the principal and degrading the school with language beyond the scope of the dictionary. Two boys dragged my desk out of the portable and into the yard in my absence. At least twenty students spent an evening scrawling obscenities on the walls behind the gym. Tragically, at a football game, a group of cheering students piled on top of one of its classmates, breaking his spine and leaving him in a wheelchair for life. As with many teens, they cannot see the consequences of their actions. So it was with the students who set out to fire me. After months of haggling over grades, disgruntled members of my AP class — and their parents — demanded a conference with the principal to discuss my teaching style. At the meeting, heart jumping, I listened to my accusers: too much work and too complex assignments. Outside, another group of students came to my rescue. They asked the secretary to slip a letter to the principal. The principal read: “Dear Sister, The students who are complaining have been bragging they are going to get Ms. Fernandez fired. They don’t want to do anything in class but talk and goof off. They are very disrespectful. Most of what they are telling you is simply lies. We don’t want Ms. Fernandez to get fired.” Ten students signed their names to the letter. The dean coughed, the principal shuffled papers on her desk, and the parents looked with embarrassment at each other and at their children. So with the help of student allies, I kept my job. That summer, unable to shake off disillusionment, I submitted my resignation. Years later, I discovered I had touched at least one student: one of the seniors cracking jokes in class had been nevertheless awakened to the love of literature, had gone on to get a degree in English, and come back to the school as a teacher himself! From my perspective today, I see the difficulties a private institution faces. If administrators don’t cater to parents and students, enrollment plummets. If students don’t enroll, funding dries up. Many parents are important donors, contributing with largesse to the building fund. And the yearly tuition is nothing to sneeze at. In business, they say the customer is always right. “Prom” is part of a story collection entitled Through the Branches of the Guava Tree showcasing the lives of Cuban exiles.